What’s better than charity and a good bowl of chili? Not much! 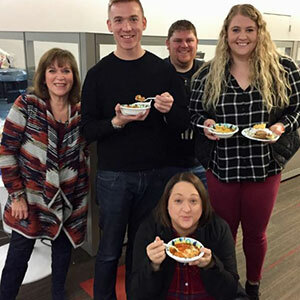 Every November, team members at PJ Morgan Real Estate grab their shiniest ladle, their tastiest chili recipe and get to work… all in the name of charity! 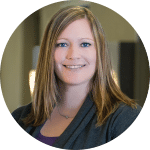 The winner of our chili cook-off has, in addition to bragging rights and a shiny trophy, the honor of choosing the Charity of the Year for our company. 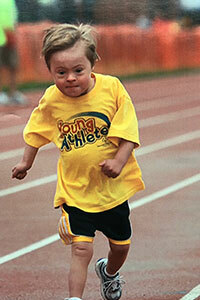 This year, joining ranks from years past: Y.E.S., Completely Kids and Goodfellows, is Special Olympics Nebraska. Special Olympics is a non-profit organization that provides year-round sports training and athletic competition in a variety of Olympic-type sports for children and adults with intellectual disabilities. This gives them continuing opportunities to develop physical fitness, demonstrate courage, experience joy and participate in sharing of gifts, skills and friendship with their families, other Special Olympics athletes and the community. 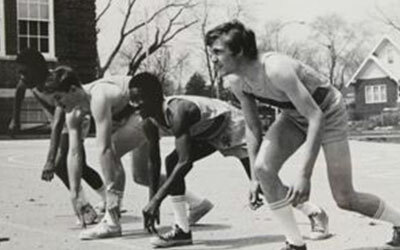 Beginning over 40 years ago, Special Olympics has grown from a few hundred athletes to over 5,000 athletes. Health & Wellness: Thorough training and education for health care professionals, advocating for improved health polices and improving access to the care for people with intellectual disabilities, this program helps improve the athlete’s abilities to train and compete in Special Olympics as well as in life. Young Athletes: This program introduces children with intellectual disabilities and their families to the world of Special Olympics by encouraging families to play with their young athletes in a fun atmosphere as well as raising awareness through peer participation and demonstration. Unified Champion Schools: With sports at the foundation, Unified Champion Schools offers programs that equip young people with tools to create sport, classroom and community experiences that improve attitudes and behaviors among all young people, both with and without intellectual disabilities. These programs work to reduce bullying and exclusion, overturn stereotypes and negative attitudes, and engage youth leaders. At its core, Unified Champion Schools is about changing cultures. It is unifying all students using sports as a catalyst for social inclusion, and attitude and behavior change. We are in the 5th month of our fundraising efforts for Special Olympics-Nebraska and we’ve had so much fun already! Not only are we raising money for a good cause, but it is a bonding experience within our company. Here are a few of the ways we’re getting involved. Our quarterly Casual for A Cause, lets us abandon our typical business attire for a more casual dress by paying $5 per day or $20 for the week. We’ve done this twice already and raised over $500! In January, a few of us PJMRE’ers braved the cold and participated in the Special Olympics Nebraska’s Polar Plunge. In the “balmy” 8 degree weather, we trudged into Lake Cunningham like a group of Olympians! I’m not going to lie… it was COLD! The wonderful Mustaches 4 Kids organization chose Special Olympics-Nebraska and their Unified Sports Program as their charity to raise funds for with their annual 30 day mustache growing competition. Three of our wonderful employees have decided to grow a mustaches. If you’d like to show your support for Special Olympics and our participants, please go to their website and search for one of our guys at m4komaha.com. Cody Mahoney-The Firehose, Gage Eden-The Big Dill or Dan Stuart-Captain Prickley. All donations are 100% tax deductible! You can also check up on their mustache progress. Enrich the Community We Love and Love In is one of the core values at PJ Morgan Real Estate. Not only do we commit to giving our money, we commit our time as well. It is an honor and privilege for us to work with this fine organization. 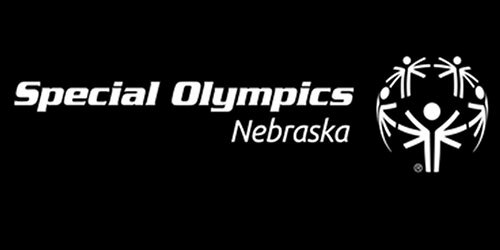 If you’d like to know more about Special Olympics Nebraska, check out them out here!